In the Eastern reaches of Greater Palm Springs, the City of Indio beckons like a jewel in Queen Scheherazade’s crown. For decades it has provided a historical, cultural and agricultural backbone to the Coachella Valley. It is also renowned for its festivals, most notable the annual Coachella Valley Music & Arts Festival and Stagecoach: California’s Country Music Festival. But with just two ordinary days to spend in Indio, visitors can get a glimpse of all that makes the city unique. Start your day with a gorgeous morning of golf at Shadow Hills Golf Club, which is open to the public. The championship golf course, designed by Schmidt-Curley, spreads across the desert floor offering peaceful panoramic views of the surrounding mountains. The name of the greens was inspired by the explosions of color that splay across the landscape, changing in hue throughout the day. The club is enrolled in Audubon International’s Cooperative Sanctuary Program for Golf Courses to ensure protection of the local environment, conserve natural resources and protect wildlife habitats. 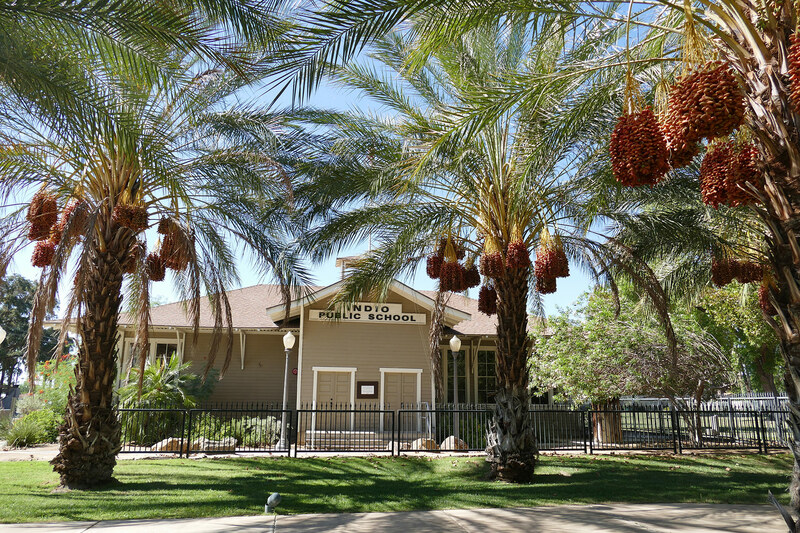 Visit the Coachella Valley History Museum, open from October through May, to learn about the origin of the Coachella Valley and its unique culture. The museum is located on a historical campus, which contains the 1926 adobe Smiley-Tyler House, the 1909 Indio Schoolhouse and the world’s only Date Museum. The buildings contain educational exhibits such as one which highlights pioneer farming implements. Other features include the Desert Submarine and an authentic Blacksmith’s shop. Finish off with a stroll through the grounds to view the Memorial Date, Japanese, Geissler Rose and Jardin del Desierto gardens as well as the oldest cork tree in the area. 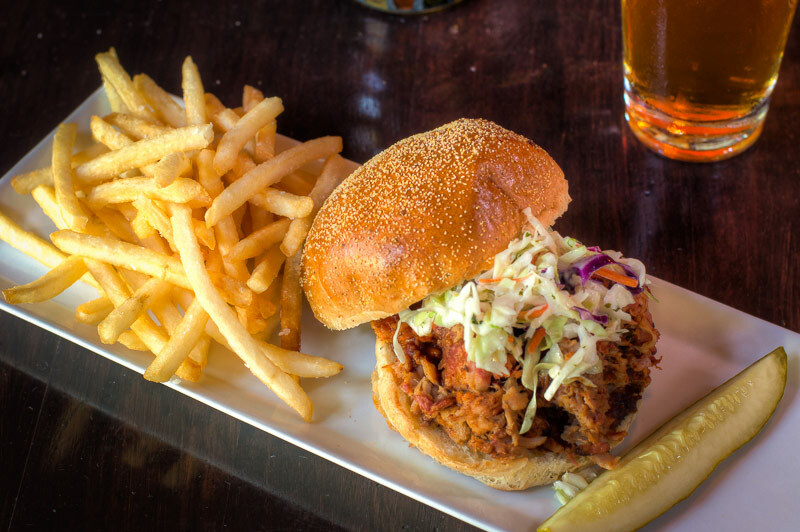 Grab lunch at TKB Deli, which is a sandwich institution boasting the infamous Trump with turkey, salami, bacon, avocado, pepperjack cheese, chipotle sauce and a secret ingredient—crunchy potato chips! This deli has been family owned and operated for years and is the go to for locals. In the early evening, get a dose of flea market fun at the Indio Open Air Market where you never know what treasures you’ll unearth from fresh, farm-picked produce to household goods to clothing to regional foods. Reminiscent of bazaars throughout the world, you’ll find tremendous bargains at this sprawling mart, which fills the palm tree-lined parking lot of the Riverside County Fair Grounds. Head to dinner at Jackalope Ranch, a finely crafted lodge on a beautifully landscaped 6.5 acre property that offers California Ranch cuisine and classic BBQ. Enjoy a stack of ribs on the outdoor palapa along with musical entertainment. After your meal, head out onto the grounds for a walk amongst gloriously manicured lawns with twin waterfalls. For a dose of adventure, book a late-night star-watching party for two or the whole family at Gargan Optics Space. Enjoy an up-close and personal sighting of planets and galaxies in breathless detail. Finish the evening with a nightcap at Neil’s Lounge. Stiff pours of no-nonsense cocktails, raucous entertainment and an old fashioned Western saloon vibe prevail at this noted valley institution where country and western stars such as Keith Urban have been known to stop by during the yearly Stagecoach Festival. No visit to Indio is complete without the experience of a world-famous date shake at Shields Date Garden. Stop by the cafe for breakfast and enjoy a pile of Shields Date Pancakes laden with bananas and date butter and take a shake to go. The shakes made with old-fashioned vanilla ice cream and date crystals are a valley mainstay. Spend your morning driving through town with a map of the Indio Murals and see how many you can find. The mural project was created to help revitalize the economy of the city by commissioning murals in public places of which prints could then be sold to the public. It was kicked off in 1996 with a mural by San Francisco artist Bill Weber that depicts the Taj Mahal and has continued forward to today with an ever-evolving collection of works that range from historical to contemporary. For lunch, enjoy El Mexicali Cafe’s popular signature dish of Chiles Gueritos, which consist of shrimp-stuffed yellow peppers dotted with mayonnaise and soy sauce. Don&apos;t miss your chance to watch world-class polo at both Empire Polo Club and Eldorado Polo Club, where thrilling matches take place on Sunday afternoons from January through April. Bring your finest hat, sip champagne under the sun and watch the excitement of this historic game as it&apos;s played on the lush polo grounds of Indio. Keep the thrills flowing with a game of laser bowling at Fantasy Springs Resort Casino. After working up an appetite, opt for an elegant dinner at the resort’s prized The Bistro. Start off with a hand-crafted cocktail in the mahogany bar, followed by a meal of contemporary cuisine that includes succulent seafood, dry aged onsite beef and other creative dishes. Opt for an outdoor table overlooking palm trees and a beautiful courtyard.